Hirst’s latest shenanigan comprises a kind of posh scavenger hunt for the über-rich jet-set. He has distributed 300 of his spot paintings to 11 Gagosian Galleries worldwide and issued the Complete Spot Challenge: anyone who sees them all will receive a free, signed print from him. Participants will get a card to be punched at each location, much like a get-your-10th-footlong-free card at Subway. So for those of you who work so laboriously to spend the time and money to travel to 11 galleries in 8 cities in 7 countries, you can be rewarded for your hard luxury with yet another luxury item – a spot painting, in a convenient carry-on size for your further world travels. 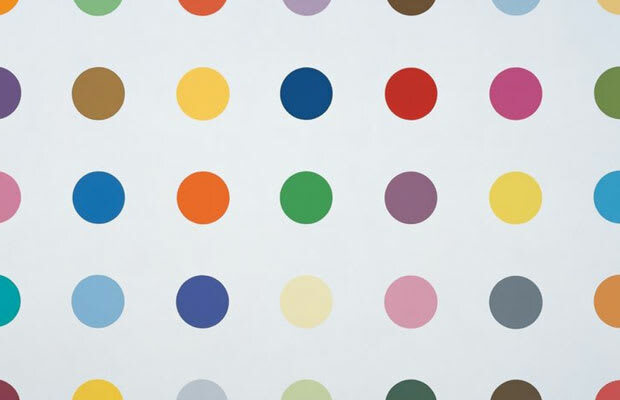 In 2008, Hirst declared that he would stop making spot paintings, though he has not, as the various exhibitions includes works made through 2011.